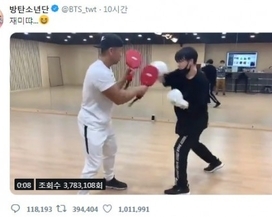 A series of pictures of Wanna One's Kang Daniel, Ong Seong-wu, and Park Woo-jin, and BIGBANG's Seungri together has been revealed. 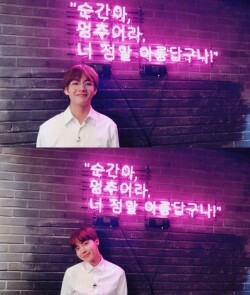 On March 19, the photos..
Bangtan Boys members V and J-Hope have updated fans with their latest pictures.On March 20, a series of photos of V and J-Hope have been uploaded on the of..
EXID teases the best transformations ever for "Do It Tomorrow"
Group EXID will be making their best-ever transformations for "Do It Tomorrw"!On March 18, EXID members revealed spoiler images for their newest song throu..
Singer Se7en has shared past photos of BIGBANG members that recently enlisted in military. On March 13, Se7en posted a series of photos on his Instagram wi.. 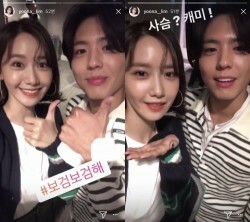 Girls' Generation's YoonA and actor Park Bo-gum showed off their friendship even after filming "Hyori's Homestay 2" together. 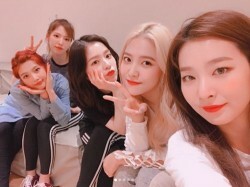 On March 12, YoonA revealed a..
Red Velvet's Joy took a picture with her members. Recently, a group picture of Red Velvet was revealed on the group's Instagram.In the picture, Joy is puck..
Lee Dong-wook and Suzy confirmed to be dating! 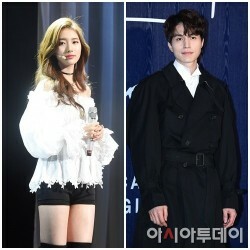 Actor Lee Dong-wook admitted that he is dating singer and actress Suzy.Lee's agency King Kong by Starship told confirmed Friday, "Lee Dong-wook and Suzy re.. Girl group A-Pink will be making a surprise comeback with a special single.On March 8, their agency Plan A Entertainment said, "A-Pink will be releasing a.. Son Ye-jin and So Ji-sub are a sweet couple for "Be With You"
Actress Son Ye-jin has revealed a behind-the-scene photo for her upcoming film "Be With You" poster shooting.On March 3, the actress posted the photo on he..
CNBLUE's Lee Jong-hyun, who's currently starring in OCN drama "That Man Oh Soo", took a picture of the food truck present sent by Zico. 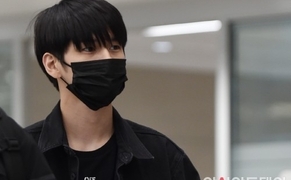 Recently, Lee Jong-..